Unit six of Bulgaria’s Kozloduy nuclear plant will operate until 2051 after Russia’s Rusatom Service (part of state nuclear corporation Rosatom) completed work to assess a life extension to 60 years, Bulgaria’s Energy Ministry said on 25 July. A protocol representing the completion of 30 months of work was signed by Kozloduy NPP General Director Ivan Andreev and Rusatom Service General Director Evgeny Salkov. It confirms that the equipment, construction structures and systems examined are in good working order and the unit could be safely operated until 2051, Rusatom Service said. Kozloduy NPP has two VVER-1000 reactors in operation (units 5 and 6) that produce approximately a third of Bulgaria’s electricity. 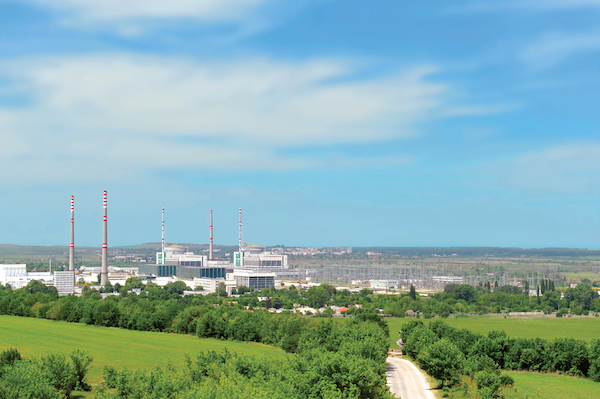 Bulgaria’s Nuclear Regulatory Agency is now expected to grant a 10-year extension of the operating licence for Kozloduy 6, which is due to expire in 2019. The programmes for upgrading and extending the operational lives of Kozloduy 5&6 was launched in 2015 and cost a total of €360m ($420m), to be financed by the plant itself. The upgrade of Kozloduy 5 for an additional 30 years of operation was completed in 2016. In 2016, Kozloduy NPP signed a contract with a consortium that included Rosatom Service, Russian nuclear use Rosenergoatom (a subsidiary of Atomenergoprom) and Risk Engineering (a Bulgarian energy company), in order to extend the licence of the unit. Minister of Energy Temenuzhka Petkova said: “At the end of last year, a licence was issued for the extension of [Kozloduy] unit 5 operation by 10 years. Today we will hear the results of the project we have implemented with our Russian partners to extend the operation of unit 6." Of 227 planned activities, 138 have been completed, 70 will be completed by the end of the year and 19 in the next licensing period.” She added that the activities were financed by Kozloduy NPP.